Here is the list of the ten animals with the most powerful bites in the animal kingdom. There are animals which have been excluded who could probably make it here but there is a lack of research on their bite, since it is hard and expensive to measure. A notable exception will be the Great White Shark, but I was unable to find a number that was not theoretical. The Tasmanian devil seems to have the most powerful bite relative to its body size of any living animal tested, at 200 psi followed closely by the African Painted Dogs (that killed a two year old boy who fell into their pit in the Pittsburgh Zoo yesterday). Each animals bite is measured in PSI or pounds per square inch. A surprise placing for the “king of the jungle” (though it has never lived in a jungle). Lions are the only social cat in the world. They are so cooperative when they hunt that this might be one of the reasons they have a evolved to have the weakest bite of the genus Pathera or big cat. Another reason might be that their hunting habit, strangling its prey by biting its trachea, lacks the need of a strong bite. Lions hunt at any time but usually hunt for large prey at night. They also drink water daily if they can but can go five days without. 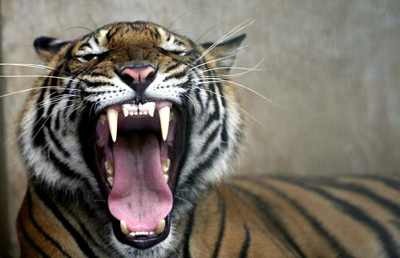 The biggest species of the cat family, the tiger is a solitary hunter. They can reach 3.3 meters and weigh up to 300lbs. They stalk their prey and hunt at night. Like lions, they tend to bite the throat of their prey to cut the flow of air and blood to the animals head. 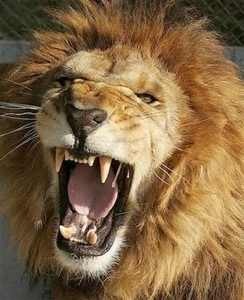 They have a powerful bite, nearly twice that of the lion. There are more tigers in captivity than in the wild. They usually avoid humans but attacks on humans and cattle have been reported around the world. Most sources say the hyena bite is around 1100 psi, but Wikipedia says it is 11,400, however I couldn’t find any other sources which could corroborate this claim. Having said that, the hyena has one of the most powerful bites in the animal kingdom, having even been observed crushing giraffe bones. It is this scavenger behavior which is the most likely culprit for the hyena’s strong jaw. Since it needed a powerful jaw to get to the marrow inside the bones left by lions and other big predators. Although they look like dogs the hyena is actually more closely related to cats, belonging to the suborder feliformia instead of the dog suborder caniformia. 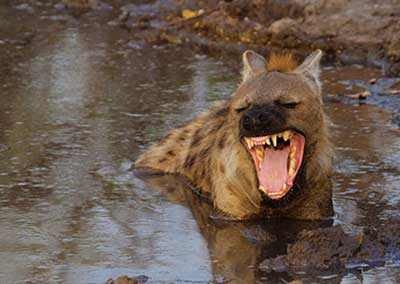 Hyenas have been observed killing dogs with a single bite to the neck. Contrary to popular belief, hyenas do hunt, and ironically lions often steal their food. Like the lion, they are highly social and cooperative animals. This North American subspecies of the brown bear is known for its incredible size and aggression. Despite their large size, the grizzly can run up to 56 km/h. Grizzlies mostly feed on berries and nuts but do hunt. In Yellowstone National Park they have been observed and filmed hunting wild game. 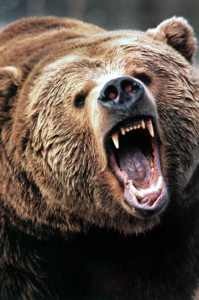 The grizzly is considered more aggressive than other bears. It is theorized that because of their size, grizzly bears are unable to climb trees so they have evolved this defense mechanism to ward off prey. It is probably this same evolutionary road which gave the bear its powerful jaws, helping it defend itself from wolves and other intruders. They can weigh from 600 to 1000 pounds. They can be a danger to humans if surprised or if with cubs, but very rarely, if ever, go after humans for food. This one might surprise some because of their vegetarian nature. But the gorilla is a formidable candidate in this list. They have jaws primarily adapted to chew strong hard plants like bamboo, which have given them incredibly strong jaw and neck muscles capable of punching a 1300 psi bite. The gorilla has been traditionally seen as a big scary monster but in recent years its image has changed to that of a “gentle giant.” They are our closest relatives after the chimpanzee, and their numbers are shrinking rapidly, with only 700 mountain gorillas left in the wild. Gorillas can climb trees but are usually found on the ground in communities of up to 30 individuals led by a dominant older male. 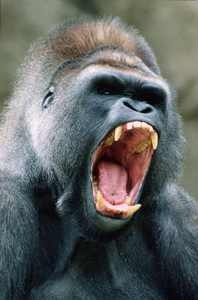 Gorillas tend to be gentle creatures and do not pose a threat to humans. This is one big powerful herbivore. 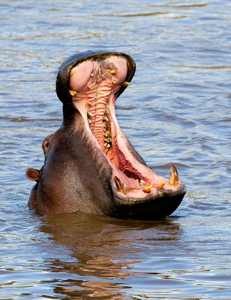 The hippo is one of the most feared animals in Africa. Being highly territorial and aggressive, it has been known to knock over small boats and attack the crew. Only the female hippos bite force has been measured since the male was much too aggressive to test, but it measured at a whopping 1821 pounds per square inch. The word Hippopotamus comes from the Greek “water-horse” due to the hippo’s fondness for water. The hippo’s closest cousins are whales and cows. They belong to the order Artiodactyla which includes most hoofed animals, so camels, horses and goats are also related to hippos. The jaguar has the strongest bite force of any cat, and by my findings, the strongest bite of any mammal. The real king of the jungle, the jaguar is found from Mexico to Argentina. The jaguar kills by biting the head of its prey. Like most other big cats (except the lion) the jaguar is a solitary killer. 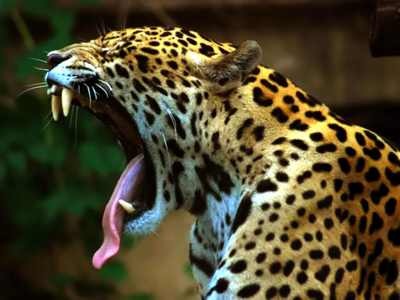 The jaguar is renowned to for its ability to successfully kill anacondas and caimans. Its bite is so strong it can easily pierce through the shell of animals, like turtles. The jaguar comes from the Amerindian word Yaguar which means “he who kills with one leap.” Despite being smaller than its cousins in Africa and Asia, it is still the biggest cat in the Americas. Believed to have been eliminated from the southern United States over 100 years ago, there are rumors of a breeding population in Arizona. Jaguars are believed to be most numerous in Belize, specifically the jaguar sanctuary in Cockscomb Basin. 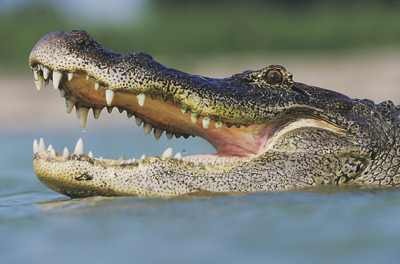 The American Alligator is one of only two species of Alligator left in the world, the other being the Chinese Alligator. With an estimated population of 5 million; 1.2 million live in the state of Florida. Its range includes: Florida, Texas, Louisiana, North and South Carolina, Georgia and Alabama. They share territory with the crocodile. Their diet consists mainly on fish turtles and small mammals. In a recent study by National Geographic, American Alligators tested at 2125 psi, yet they did not test the larger alligator, so this number could be higher. 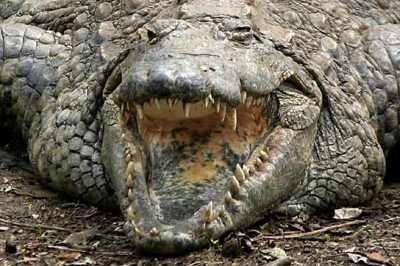 Yet this problem arises with the three members of the crocodilian superfamily mentioned here. Saltwater crocs (do you know the difference between a crocodile and an alligator?) tested the highest in the National Geographic experiment mentioned above with 3700 psi. Yet they only measured a few smaller crocs. National Geographic claims that if this number were to be translated to 20 footers (which do exist, in abundance) the number could be higher than 7,000 psi. These monsters are found from eastern India to southeast Asia and northern Australia. Saltwater Crocs eat anything they can bite from water buffalo to fish and even sharks. They are affectionately referred to as “salties” by Australians, yet there is little to be affectionate about when it comes to this giant. They are responsible for more attacks on humans than any other croc but not much more than the next on this list. In the National Geographic experiment the Nile Croc actually tested lower than the Saltwater Croc, but most other sources have the Nile Croc at 5000 psi. Nile Crocs tend to be about the same size as Saltwater Crocs and thus their bite seems to be at the same range. The two are interchangeable when it comes to the placing on this list and the numbers will vary due to the difficulty in measuring the bites of each and getting the right sized croc to measure. 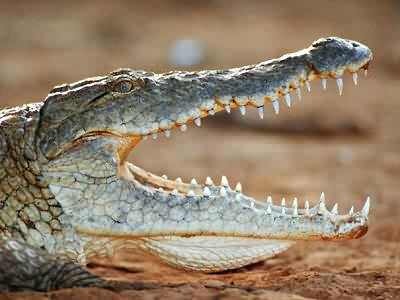 Nile crocs eat mainly fish but like their cousins, they will attack anything dumb enough to cross its path. This includes zebras, birds and even small hippos.